A good supplier agreement is not designed to win a courtroom battle. Its aim is to keep the parties out of court in the first place. A long-term agreement should be well-drafted for all eventualities because suppliers are critical to the survival of a business. The inability to easily terminate an agreement can be particularly damaging in the case of long-term arrangements. Most long-term supplier arrangements rely on an umbrella agreement followed by individual purchase orders. Determine whether the supplier arrangement will be exclusive or non-exclusive. Although suppliers generally favor exclusive arrangements, it is best to either resist such an arrangement or extract very favorable terms in exchange for it. Estimate the frequency and volume of the supplies you will require, and identify these with specificity in your draft agreement. Leave yourself some flexibility–a commitment to purchase a certain volume of supplies over the long run is asking for trouble if a recession hits your industry. Negotiate an escape clause that allows you to terminate the agreement without cause with advance written notice to the supplier (a 30- to 90-day notice period is typical). Expect resistance from your supplier on this point unless you are willing to grant the supplier reciprocal rights. You might consider offering an exclusive supplier arrangement in exchange for a favorable escape clause. Negotiate a limitation of liability clause. If your supplier provides you with malfunctioning factory equipment that damages your production line and causes you to close down your factory for a week, or supplies food products that sicken your customers and damage your business reputation, your damages could greatly exceed the purchase price of the equipment. You can be certain that your potential supplier will want to limit its liability to replacement of the malfunctioning item or refund of the purchase price. Negotiate a confidentiality agreement that protects the intellectual property of each side from being divulged by the other. This is particularly important if you need to provide specifications to your supplier and if your company's confidential information is protected by trade secret law rather than patent law. (The formula for Coke is an example of a valuable trade secret.) If your trade secrets are valuable, you should insist on a liquidated damages clause that specifies the amount of damages in advance. Negotiate the term of the agreement. Extremely long terms (a decade or more) are usually disadvantageous to both sides because of the uncertainty involved. Nevertheless, a mutual escape clause can greatly mitigate the risks involved. Negotiate contract "boilerplate" provisions such as governing law and dispute resolution, taking into account business realities. For example, arbitration is a cheap and convenient alternative to courtroom litigation. Ensure that individual purchase orders are clearly identified as being governed by the umbrella agreement, so that the terms of the umbrella agreement apply to each purchase order. Ensure that each purchase order is dated, and that none of the dates extends beyond the term of the umbrella agreement. Create a template for individual purchase orders with blanks that can be filled in, particularly with respect to quantity and date. Nevertheless, these blanks should never be filled in by hand, because illegible handwriting could lead to misunderstandings and disputes. Legal Research Center: What is a Supplier Agreement? Carnes, David. 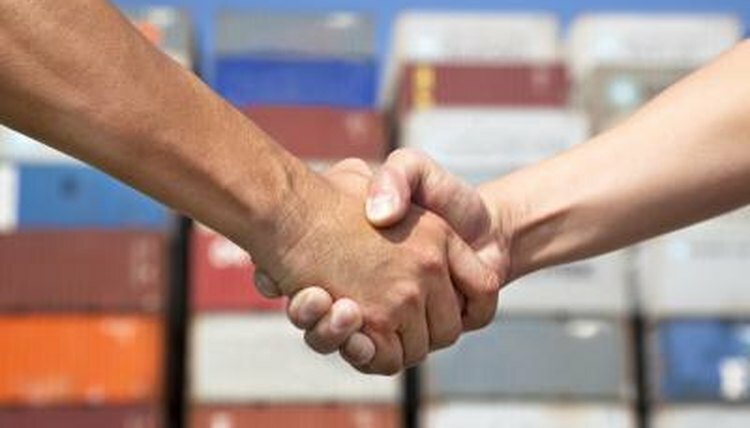 "How to Negotiate Long-Term Agreements With Suppliers." , https://legalbeagle.com/5822076-negotiate-longterm-agreements-suppliers.html. Accessed 22 April 2019.